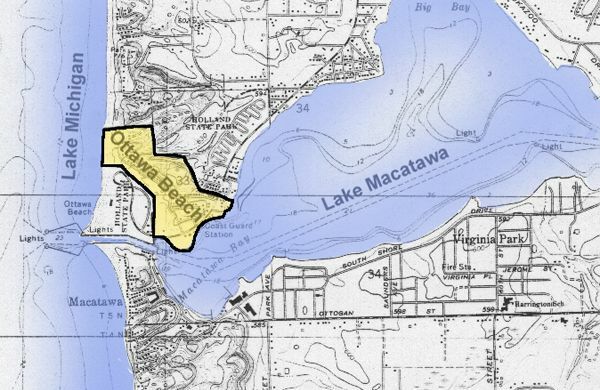 The properties highlighted in yellow on the map at the left were the lands owned by surveyor Brittan that became Ottawa Beach. Note the narrow curved channel connecting Lake Macatawa with Lake Michigan. The early Dutch settlers of Holland and their leaders could see the value of developing Lake Macatawa into a navigable harbour. 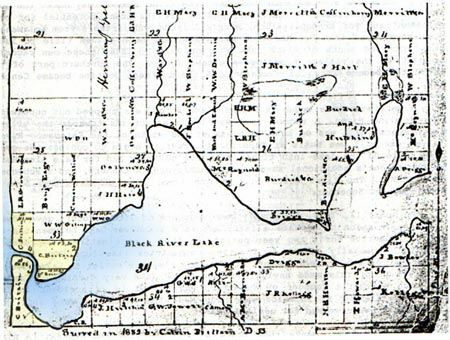 In 1849, they paid for a survey of the channel, the map of which shows two possible locations for a new straight channel between “Black Lake or Ma-Ca-Ta-Wa” and Lake Michigan. The reverend Mr. Albertus. 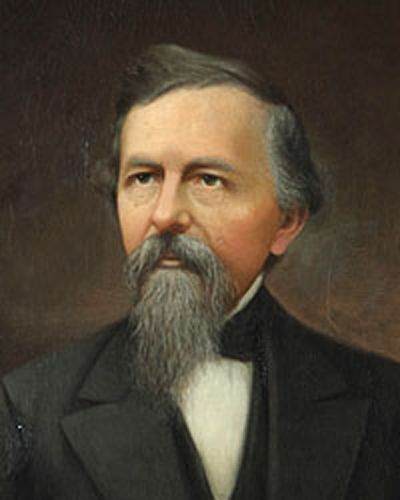 C. Van Raalte successfully petitioned the federal government on several occasions for the appropriation of funds for the creation and maintenance of the channel between Lake Macatawa and Lake Michigan. The original channel was judged unsuitable for navigation and a new straighter channel was dug from Lake Macatawa into Lake Michigan. 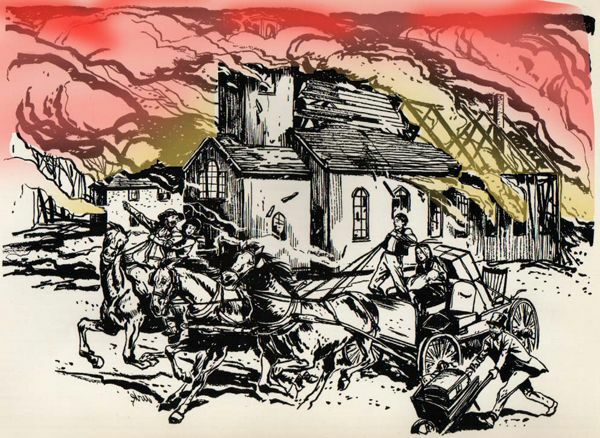 On a hot, dry and windy autumn day in October 1871, three other major fires occurred along the shores of Lake Michigan at the same time as the Great Chicago Fire. Some 250 miles to the north, the Peshtigo Fire consumed the town of Peshtigo, Wisconsin, along with a dozen other villages. It killed 1,200 to 2,500 people and charred approximately 1.5 million acres ranking as the deadliest fire in American history but the remoteness of the region meant it was little noticed at the time. That same day the lumbering community of Manistee, Michigan also caught fire in what became known as The Great Michigan Fire. Holland, Michigan, also went up in flames that day, destroying about two thirds of the City. Near the same time, articles in the city’s English language newspaper began to report about local interest in developing resort and recreational facilities out at the lakeshore. A group of Holland businessmen were planning to construct a road along the south shore of Lake Macatawa out to the dunes and beaches of Lake Michigan and to construct a hotel, cottages and other resort facilities. In 1886, 54 acres on the north side of the channel were surveyed and platted by a development group organized as the West Michigan Park Association. Then later another 20 acres was added. The officers of this organization (which exists to this day) was comprised almost entirely of Grand Rapids residents and included a number of prominent citizens. Included among them were Chicago and West Michigan Railway. superintendent JKV Agnew, railway General Manager JB Mulliken, railway General Passenger Agent WA Gavett and Col. Chas Nix, who owned resort hotels in Lake Geneva, WI and St. Joseph, Michigan. This newly formed association planned to build a resort hotel at Ottawa Beach and extend the Chicago and West Michigan Railway line out it from Holland. Individual lots roughly 50′ x 100′ were laid out for summer cottages in this plat, some facing Lake Michigan, others facing Lake Macatawa.